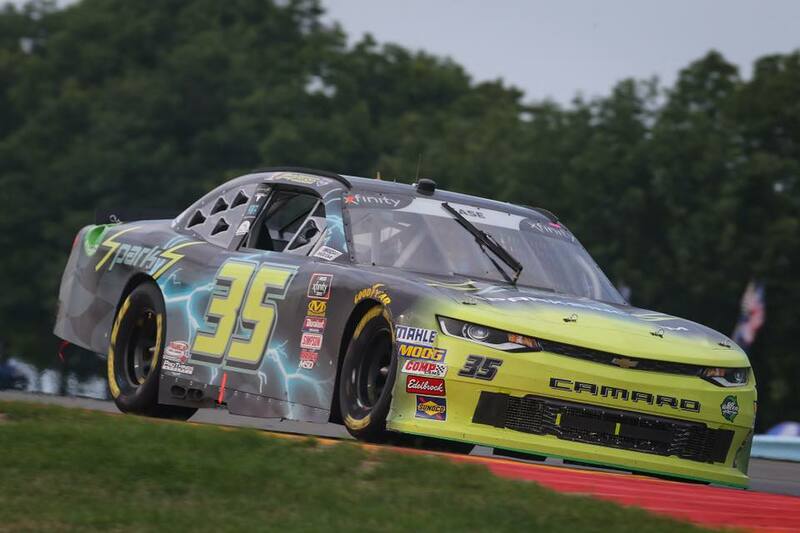 On the final lap, Joey Gase and Ross Chastain found themselves in a heavy weight battle for the 16th position. That’s a big deal for these teams. In turn 2, Gase put the bumper to Chastain and took the position. In turn 5, Chastain returned the favor. Only, Gase was also sent off the race track. Chastain is currently 12th in NXS standings with one top-5 finish. Gase is 21st in the standings with a best run of 16th which he claimed at Bristol and California. Johnny Davis is the owner of JD Motorsports. Chastain has driven for the Xfinity Series team since 2015. Joey Gace spent the previous four seasons with Jimmy Means Racing. For 2018, he’s driving for Go Green Racing. This year, he has 8 top-10 runs. That’s more than the last four season combined. 16th place is important for these guys. This is the race within the race. Joey Gase swerved toward Ross Chastain as the field returned to the pit lane after the race. At this point, fans and media were walking around on pit lane. They then aggressively followed each other down pit road. The drivers finally came to a stop. They both exited their race cars. Gase went up to have a chat with Chastain. What isn’t shown in the video below was the highlight of the altercation. One of the larger crew members from JD Motorsports tackled the little mass of Joey Gase. It was an attempt to separate the rival driver from his own. The NASCAR official on the scene was able to calm them down. He told Gase to exit the scene, he did. “Basically, I tried to go talk to him and his guy tried to block me. So, I shoved him out of the way and all hell broke loose. He has a four car team and we don’t have that many people,” Gase explained. After the altercation, Gase was called to the NASCAR hauler. Specially, it was for the action on pit road. 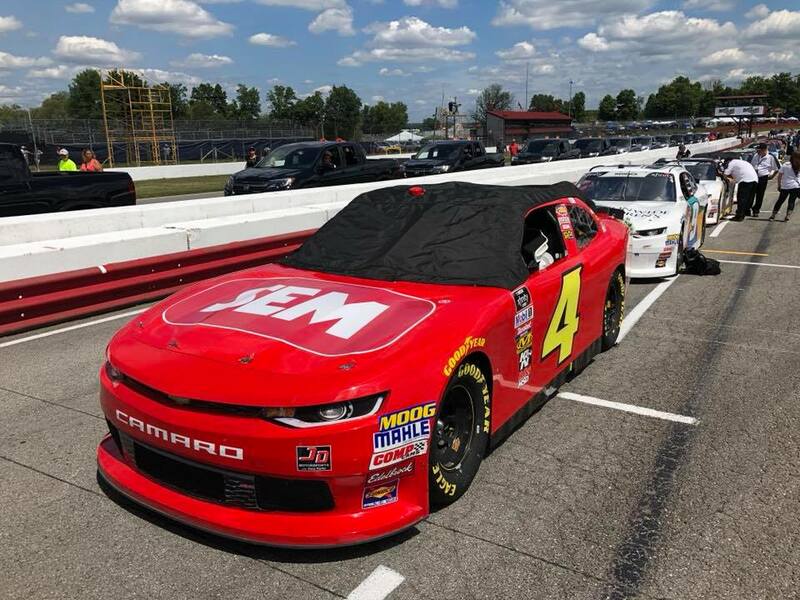 On Sunday, Ross Chastain flew to Michigan International Speedway. Reed Sorenson took care of practice and qualifying. Chastain jumped into the Premium Motorsports machine for the NASCAR Cup Series race. Chastain went on to talk about the track, the rain and weather sirens. But, he didn’t have anything to say about Gase or the altercation. It was a grade A deflection. Next week, the NASCAR Xfinity Series heads to Bristol Motor Speedway, better known as the payback track. Ross Chastain is scheduled to run all three races at Bristol. The following week, they head to Road America. Joey Gase says Ross Chastain always races him hard. Ross Chastain and Joey Gase got into it on the track and again on pit road.